Tonight should have been an Explorers Meeting night for Samantha, but she chose to go to the Girl Scout meeting instead. This week, Girl Scouts Diamonds is promoting Girls Give Back, and encouraging us to take our Gift of Caring donated cookies to the recipient. 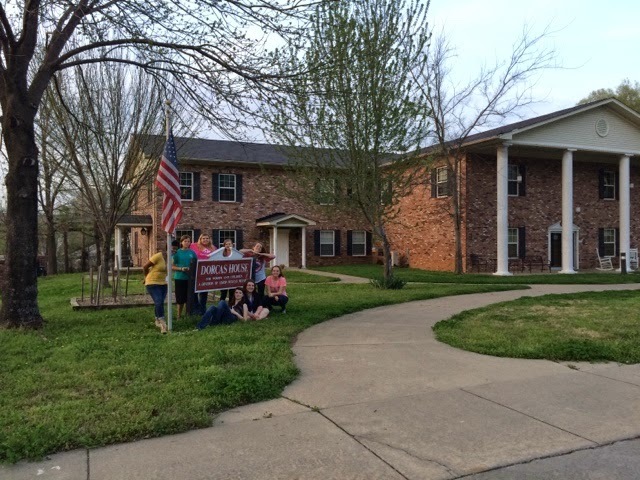 Our girls chose The Dorcas House - a home for abused women/children and a drug/alcohol rehab home. I kind of have a connection there and was able to arrange a tour of the home. The girls were able to go in and see how things worked - how this house helped women make their lives better - to meet some of the women and children that are living there and to learn of one more place they can volunteer and give their time! It was a wonderful tour and the girls asked many, very appropriate questions - hopefully some of them will follow through on the volunteering part - maybe even a Gold!